I couldn't stop listening to it. Fantastic. 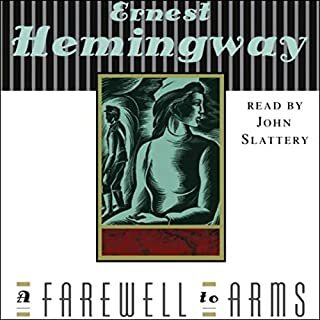 I'll be honest right off of the bat - this was my first Hemingway book. I'm an avid reader but to my shame I've never dabbled in his works. I loved it. Just loved it. It is hard to separate whether it was because John Slattery performed it...or whether the story drew me in and kept me there. But really...they just both killed it. Aside from being a great actor, Slattery can pull off an Italian, English and Scottish accent pretty well. The immersion does not become lost anywhere. I sincerely hope he narrates more. As far as Hemingway goes...I'll definitely be looking up more of his work. Don't get swept up in the fancy revision. Fagle's "Odyssey" was great, not my favorite...Butler's was fantastic. Came upon this and was pretty excited to give it a try as well. Undoubtedly not my cup of tea. Others may like it (which is fine) but please be warned that the narration is just so robotic and dry. Nothing against Claire Danes, but...it just doesn't work. Not only was the tone off-putting, but the translation was a bit too modern (which may sound strange to some). 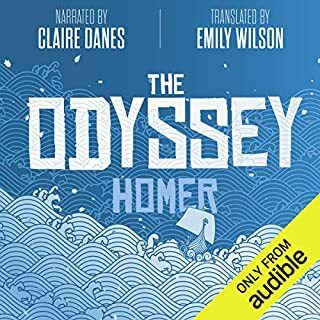 I've never found the Odyssey read so...inaccurately. It just felt really off. I'm a sucker for fancy book covers and art designs - so I enthusiastically (and foolishly) jumped headfirst into this as well. Also - is it necessary for 3 hours of "forewords and authors notes and translators notes, etc" before the actual story itself?